Register Log In ECN Forum Forums NEC & other Code issues Does this fitting show marking with that information? With any splices in this fitting, assume 14 AWG's, we would need a box with at least 10 cubic inches [5 x 2 CU IN]. Does this fitting show marking with that information? 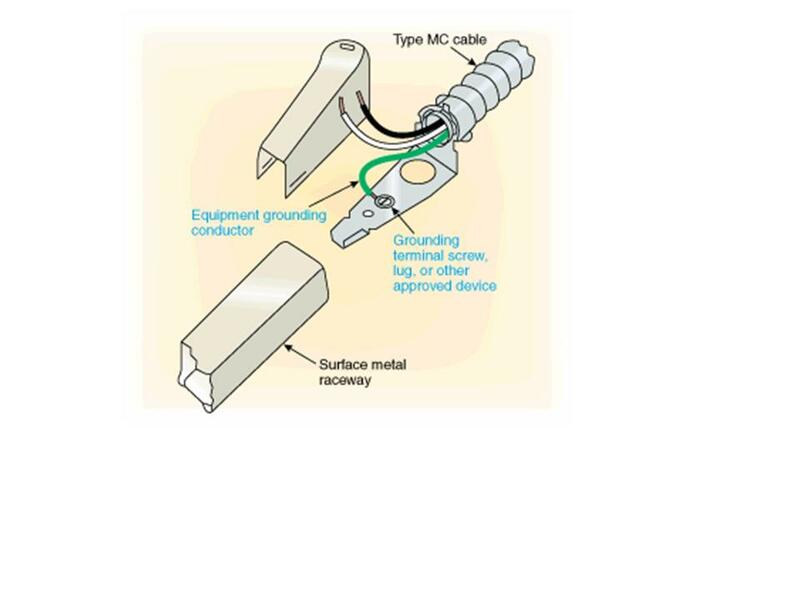 I posted this because this transition seems to require only wiring methods that include an EGC, such as MC and NM. There is also a fitting for AC cable (wiremold 5790B) but the instructions seem to imply that you use a "short section of raceway to the fitting" (from a box where the splice would be made?). I agree it is hard to find anything firm about how these are installed in the PDFs I have looked at. I'm sure a careful installer could stuff 2 wirenuts in this "mouse" but I agree it is a violation of the box fill rule. I believe it is improper to apply the box fill rule here....assuming the component is part of a listed system. As such, a determination was made that there was adequate space. A similar situation occurs with every bath fan...the wiring space is a lot less than your usual box. I actually think that these things are treated a 'appliances,' as their application is so narrow. FWIW, I think you'll find the elbows in these systems are also somewhat tighter than we are allowed to make. And I defy anyone to pull wire through a 'completed raceway' of this stuff....you have to piece it together as you go. Don't know where that illustration came from. Obviously it's wrong. You would not make a splice in that transition nor would you bond the ground as shown. The conductors should continue through to the first box. This is no different than a transition fitting to EMT from AC, MC or NM. You have to buy all the fittings to connect the wires and the ground. Only then is it a UL assembly. 110.3 (B) Installation and use. Listed or labeled equipment shall be installed and used in accordance with Any Instructions included in the Listing Or Labeling. If Wiremold Instructions or Pic's tell you to do it that way then go ahead.